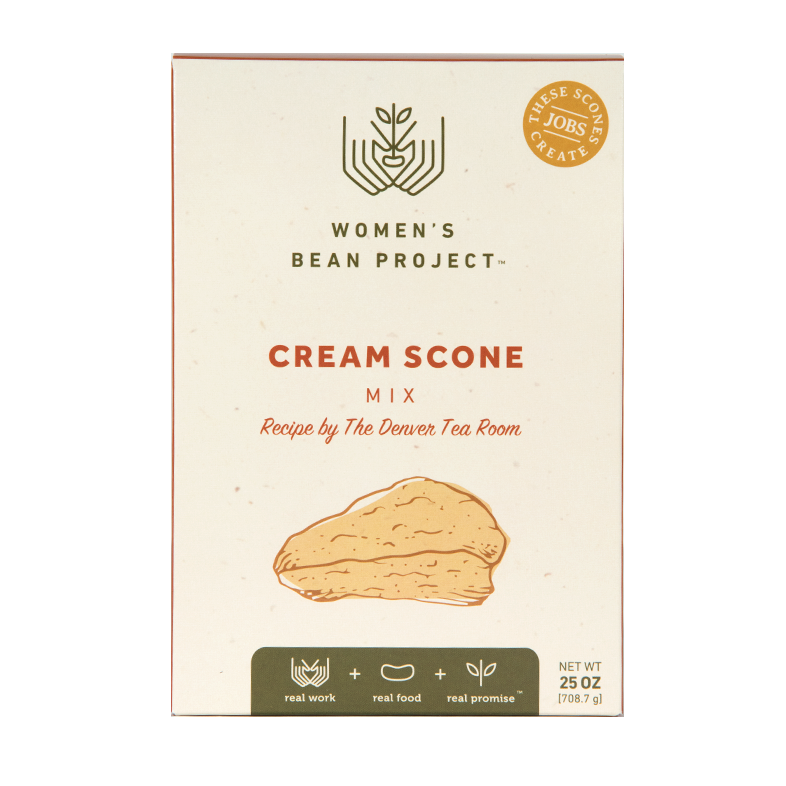 Our mix makes it super-easy to create scones that will be the life of your next brunch. Pour dry mix into mixing bowl and whisk to blend ingredients. Cut 1 stick of cold butter into small pieces and blend into the dry mix with your fingers until mix is crumbly. In a separate bowl, whisk together 11 oz. of heavy cream and two eggs. Form dough on a floured board and flatten to 1 inch thickness. Cut scones using a 2 1/2 inch biscuit cutter. Place scones on a parchment-lined baking sheet. Bake for 15-18 minutes until light golden brown. Let cool for a few minutes, Serve with butter, jam or your favorite toppings.